Come relax for a few minutes with me! I actually write this post with a more somber heart. Lately, I have watched Oregon be hit with sad news. First, the small wreckage of one of my most favorite coastal towns: Manzanita. Second, the utter annihilation of a building on my most favorite street in Portland: 23rd Ave or Nob Hill. Third, the unresolved disappearance of a young hiker. Through all of this I am reminded again of how precious life is and how each day our lives can dramatically change. So here are 5 things to do in preparation for the unexpected and some links for additional resources. Know what natural disasters are prevalent in your area. Listen to experts on how to best protect your assets from Mother Nature. But above all else; make sure you, those you love (including loved ones, friends and neighbors), and pets are out of harm’s way. 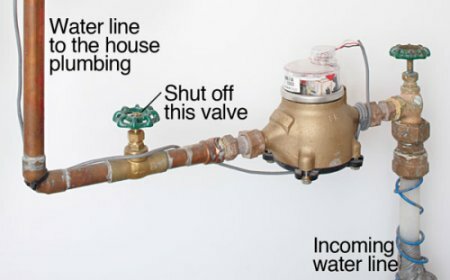 Know how and where to shut off utilities in your home or place of business. Know the warning signs when something might feel off. Always follow procedure and/or policy and above all else make sure you and those around you are out of harm’s way. Know where important items are before an emergency, where to meet others and what to have on hand should the emergency disrupt normal life. Always tell others what your plans are should someone need to come searching for you. When traversing natural areas that might have more difficult or unsafe passages; always take along a friend. If one of you is hurt the other can find help. Above all else—NEVER let a day pass by where you don’t tell people you love them because today might be the last chance you get. Please understand how much I love each of you as readers. I pray that everyone will continue to be safe and never in harm’s way. Good message, Jenn! I think we all need to take stock every so often of all that you listed in your post! Thanks for the reminder and thanks for keeping us in touch with all that has been going on there! Delicious gluten-free recipes using everyday, in-season ingredients.